Looking for a new commuter to get you to where you need to go? Need a winter car that’ll make it through the season? No matter your need for a vehicle, Rocky Mountain Automotive, Inc. is the best place to shop for used cars in Craig, CO! We work hard to help our customers find a vehicle that’s right for them—no credit is ever denied! We repair all vehicles on our lot to the fullest, to make sure they’re in great working order. We aim to give you the peace of mind that comes with getting exactly what you need. A 12,000-mile or 12-month limited, in-house warranty comes with each vehicle, and every auto is thoroughly inspected before it leaves our lot! 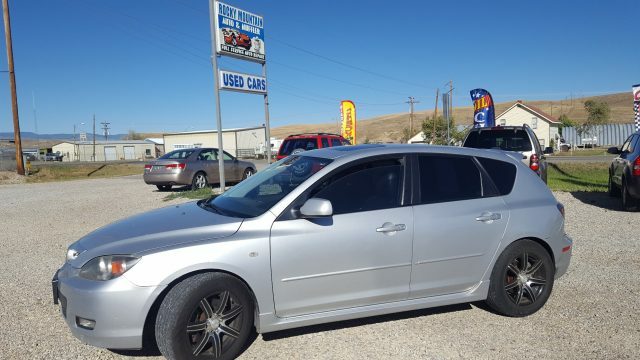 Take a look below at what we’ve got in our inventory of used cars in Craig, CO! If you see something you like, stop on by Rocky Mountain Automotive, Inc. today to learn more. Air Conditioning, Power Steering, Power Brakes, Power Door Locks and Windows, AM/FM and CD Radio, Power Mirrors, Airbags, Power Seats, Seat Heaters front, Cruise, Leather, Tilt Wheel, Rear Defroster, Bucket seat, Tilt wheel, Running boards, Bed liner, Keyless entry, DVD player, rear slide window.